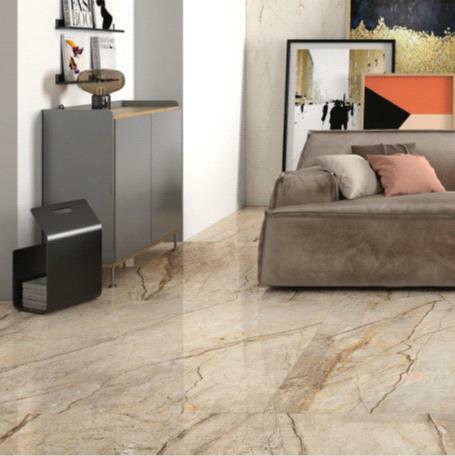 The Room is a new generation of ceramic slabs that amplifies the potential of porcelain stoneware across the board, simply going beyond all expectations. 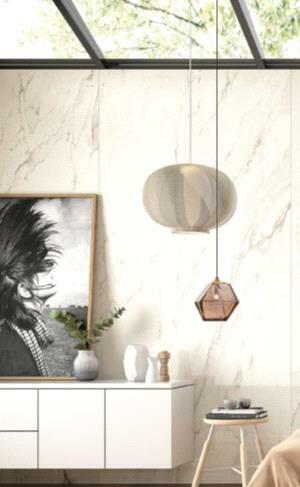 Inspired by the wealth of fine marble. It is grafted onto a current and contemporary language, and tainted with other textural flavours. It is a perfect mix of Italy and the rest of the world, of warm and cold colours, and of a well-known and an extremely rare product. 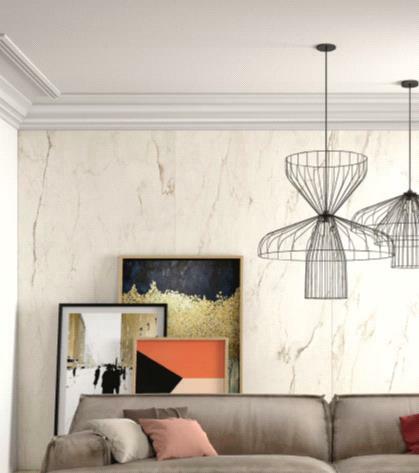 Cremo Delicato is an elegant Italian marble, which features a white ivory background with occasional bands and rare grey/yellowish veins aligned longitudinally. San Pedro, also known as Silver Roots, is from Asia Minor. Its background colour can vary from dove grey to rich beige, with deep, dark and thin veins of a brown to reddish hue. 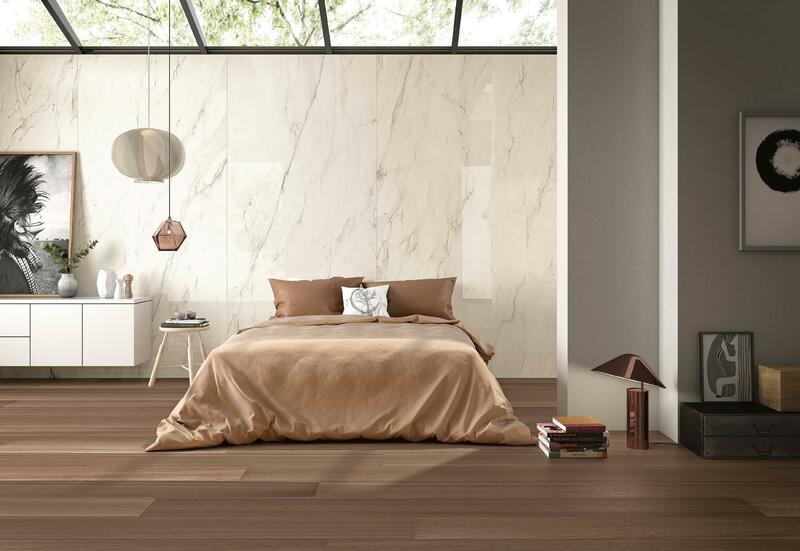 THE ROOM is suitable for both flooring and wall cladding applications. There are two surface finishes: one version is a full lapped gloss finish, and the other is a natural finish whose originality stems from the various light refraction’s in its surface.